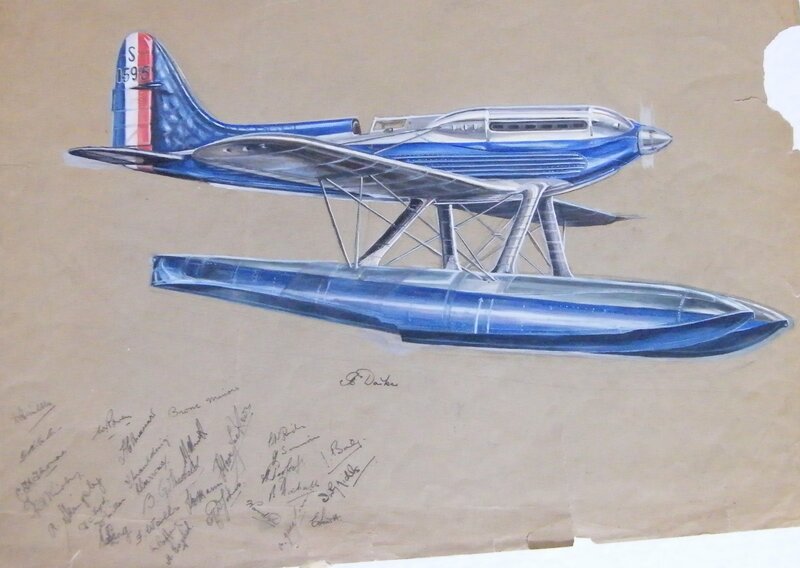 Painting of Schneider Trophy Winning Seaplane S1595 signed by Supermarine employees? Isle of Wight artist Concord Morton painted this representation of Supermarine Seaplane S1595. Here we can see the plane in colour, instead of all those black and white photos of the era. The aircraft won the Schneider Trophy outright in 13th September 1931. This picture is held in a private collection, together with paintings by the same artist of Amy Johnson and Jim Mollison. It is shown here by permission of the owner. Thirty-one men signed this S1595 painting but who are they? 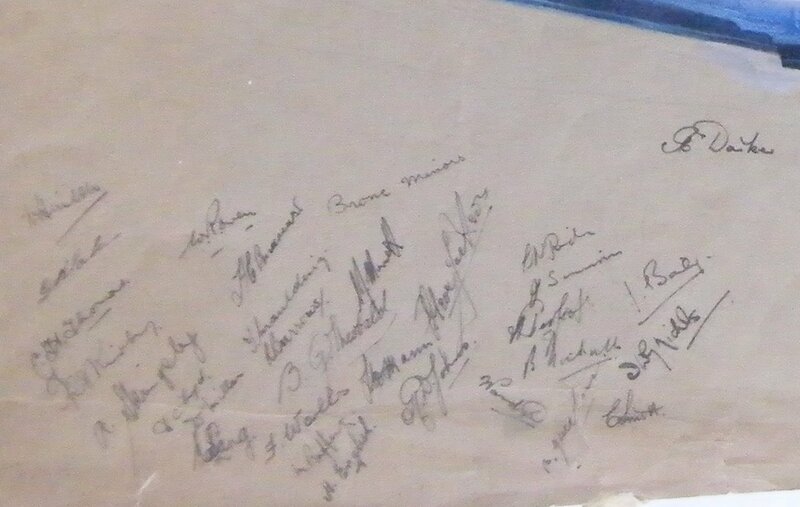 None of the signatures look like the well-known names associated with the aircraft, such as R. J. Mitchell or H. R. D. Waghorn. Could it be that Concord Morton asked the Supermarine engineers to add their names under the image? Why else collect these signatures? Some of the signatures are readable, others not so easily deciphered. An attempt (with apologies for any errors) at identifying their names is listed below. Can anyone help to confirm these names or offer corrections? Are you a descendant of any of these men? Did your grandfather sign this painting? Can you help to unravel the mystery of these names? Answers, in an email please, via the Contact page. A close up of the signatures. attempts to identify the names are listed below the image. Supermarine S1595 seaplane, Schneider Trophy winner. Painting by Concord Morton, circa 1931. Original in private collection. Shown here courtesy of the owner. R. B. Kirby? A. Skingely? D. C. Floyd or Boyd? L. W. Riches or Richards?